but it’s one that features plenty of casino games, including the life-changing Mega Moolah slot machine. 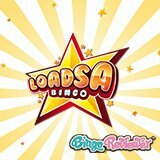 Making millionaires is what Butlers Bingo does…In December 2012, John Orchard fancied a flutter on the slots and from a small stake, he managed to trigger a £5,883,044 progressive jackpot win on the Batman slot machine. 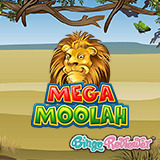 Mega Moolah is a safari themed online slot, featuring 5 reels and 25 paylines. Bets start from as low as £1.25 a spin and increase to a maximum of just £6.25 a spin. If you’re lucky enough to trigger the progressive jackpot feature, you are guaranteed one of the four jackpot prizes. Wherever the wheel stops, this will be the jackpot that you have won. The pots increase in value with every spin, so that £6m cash prize will continue to grow…until some lucky devil scoops the lot! Big base game wins can be triggered also, but not as big as the featured progressive jackpots (courtesy of Microgaming) . Spin in three voodoo woman symbols and the free games feature will launch. 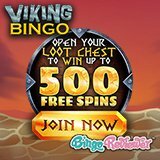 Fifteen extra spins will be granted and all wins will be met with a 3x multiplier. Three more voodoo symbols will retrigger the free games, for even more wins. 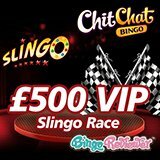 Head to Butlers Bingo now, sign up and claim the superb welcome bonus and try your luck with the Mega Moolah slot machine – you never know: you could be the next big winner!